Ok, I'm having some issues with my Grimmy. The left shoulder will NOT lock into place for torso mode. I cannot get it to budge, and I've used as much force as I'm prepared to use. Much more and I may need to buy a replacement Grimlock. Few mentions of this issue around the interwebs, but I've not come across a fix. Some peeps have noted that it can be tight, buy mine seems a bit ridiculous. Cannot see anything preventing this from locking properly, and I'm not keen to push the pin out. Anyone come across this or know of a remedy? Is the silver and red crotch plate assembly supposed to fold flat? 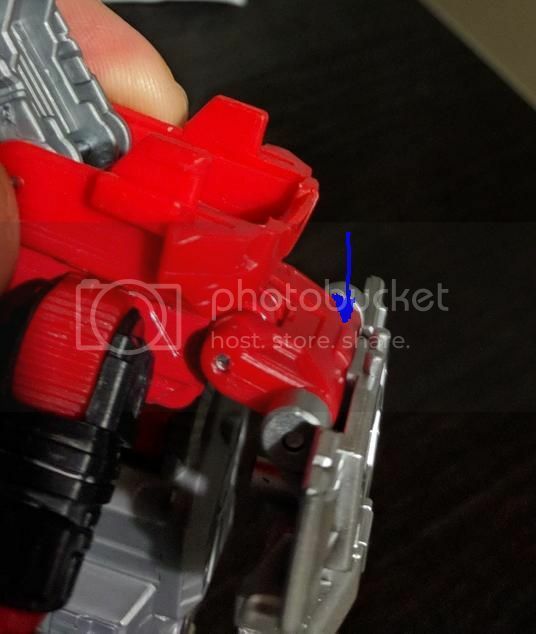 I have seen heaps of pics with it flat in torso and dino modes, however mine has a tab on the red part that prevents the silver part from folding up more than about 100 degrees. I could scrap down the red tab to fix this, but haven't really come across others having to do this. Just tried this. Have found the left shoulder on my copy has the same issue. Also, the ratchets on the left shoulder seem to have a bit more give than the right. Anyone else have the same issue with the ratchets? The screws don't appear to be adjustable, unfortunately. Okay but the other shoulder works like it's supposed to. Maybe the shoulder was incorrectly assembled? Look closely at the properly functioning shoulder, you might be able to figure out what the problem is and fix it. Yeh, no screws in torso/shoulder assembly. Only pins. And honestly, I've looked and looked and I can't see any difference between the working one and the non-working one. However, due to the construction, you can't get a clear view of the 'stop tab' that prevents the shoulder from going past 90degrees. 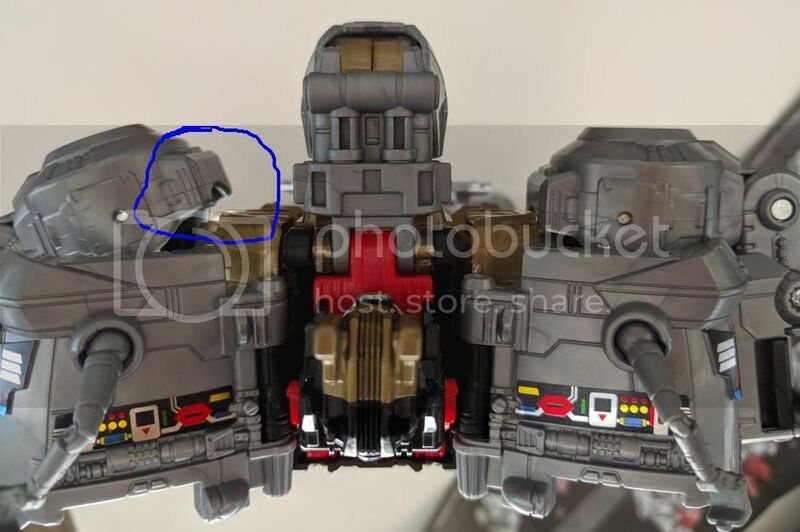 Only way to get a look at that bit would be to push the pin out and disassemble the shoulder. Mine had that problem to, on mine i just slowly worked it in into its combiner torso mode postion.